This entry was posted on May 25th, 2009 at 7:43 pm and is filed under Longs. You can follow any responses to this entry through the RSS 2.0 feed. Both comments and pings are currently closed. Wonderful piece, Meera. I’ve often wandered among the bird cases in the Amer. Mus. of Nat History in NY but have never thought of how or by whom they were prepared. Fascinating. Recently, however, I did learn to attend to the paintings that provide the backgrounds in diorama cases. Scientists and artists have such a natural kinship, although we rarely think of it. Very cool, Meera. Congrats on publishing your inaugural essay, too. As an old friend and colleague, I know your craft and your focus, but reading this I cheer that you’ve found the field for your windblown seeds to thrive in. A great piece. A great site! Fascinating. Wow, I always wondered… Now I can’t wait for more. Love your writing, Meera. Loved this piece…. as a scientific illustrator I found it fascinating. 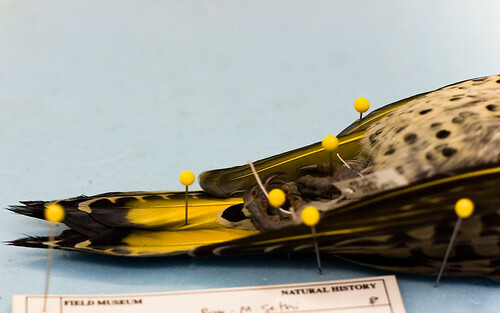 I have watched birds being prepared for mounting as well as study specimens and this is a wonderfully written “how to” on top of being a great piece of personal/science journalism. the way it was written allowed me to visualize and memorize the steps more completely than I could from a lecture or simple diagrams. 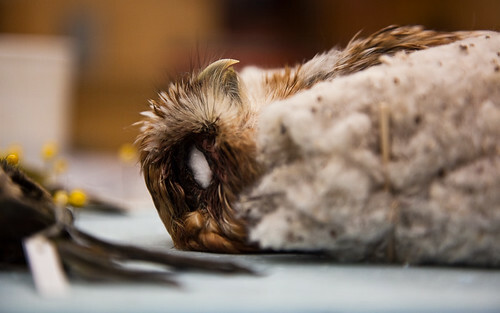 Stumbled on it while looking for more information on preparing bird specimens.